Santa delivered two very nice presents this week. First the Huffington Post published this article inspired by an interview with off-grid BC resident Kurt Cehak and with myself. 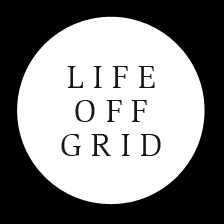 Kurt had some fantastic insights into off-grid living and Rhianna Schmunk from the Huffington Post was kind enough to embed our film trailer and post lots of Jonathan’s photos. Then today the Tyee published our last article in our series. We started our Tyee series at the very beginning of the project, so it feels really nice to see it come to a closure. As opposed to the previous articles, which all featured the profiles of one or just a few off-gridders, this article is a general reflection on ten lessons we have learned along the way.